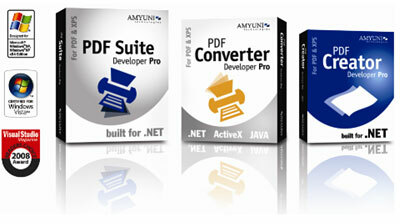 The Amyuni Developer Tools are now Certified for Windows Server 2008. PDF Analyzer is a standalone application designed to examine the structure and contents of PDF documents with precise detail. This level of scrutiny means greater control over the inner workings of PDF documents and ultimately–greater control over how documents are processed and optimized. In addition to document analysis, you can also use PDF Analyzer to compare documents, verify sensitive metadata, and extract confidential information. PDF Analyzer ensures that documents are well-structured, accurate, and optimized. Support for a wider range of PDF files such as the PDF 1.7 format and the compressed XRef table format. The addition and extraction of attachments to and from PDF files. Exporting capabilities of PDF files into XAML in order to view from a Web page with Silverlight controls. Updated PDF/A engine ensures Acrobat 9 compatibility. Certification for Windows 2008, Windows 7 compatible. Generation of layered PDF files for CAD and other applications. The generation of industry standard PDF/X-1 and PDF/X-3 PDF files. The loading, creation, and display of layered PDF files. Text anti-aliasing for better on-screen document legibility (requires font installation on client PC). Internal PDF file structure access through comprehensive class architecture. All three versions are available for download along with free technical support throughout the trial period.